I’ve been talking about blogging books for almost seven years. That fact begs the question: Is blogging a book still as effective a publishing strategy in 2017 as it was in 2010? I began blogging about writing a book post by post on a blog because I saw so many bloggers—not aspiring authors—landing book deals. Why? Because they had successful blogs. These bloggers had attracted an audience. That audience equated to a platform—a foundation of avid fans who represented potential book buyers. And these bloggers had successfully test marketed book ideas. Their large and ever-growing subscriber lists, impressive unique visitor and page view analytics, and high reader engagement levels proved to publishers that people—many people—were interested in their blog’s topic. To a publisher, that means a high likelihood a book on the topic will sell. None of this has changed since that time. To a publisher, a blogger with a successful blog still looks like a potential bestselling author. The blogger has a track record and an audience that many aspiring writers lack. That’s why blogging, and, specifically, blogging a book, remains a sound publishing strategy this year…and moving forward. I said basically the same thing last year in this post as well. To a publisher, a blogger with a successful blog still looks like a potential bestselling author. The need for aspiring authors to have platform has not diminished over the last seven years. Instead, it has increased. Many good writers with marketable book ideas get rejected by publishers only because they have no way to help the book succeed. In other words, they don’t have a built in readership for their book in their target market—a platform. That’s why I continue to recommend that aspiring authors blog—even if they don’t choose to blog a book. You must be able to prove to a publisher that you can promote your book to your fan base and help sell books. Your ability to help sell books includes promoting to social media sites, like Facebook and Twitter. But you will have a difficult time building a following online if you have no content of your own to share. What content do you share on social networks? Your blog posts. With a sizable following, subscriber base or readership, you have an audience to which you can promote your book. Accomplishing this task starts with your blog. Additionally, as you blog, your continued flow of valuable information (yes…you must provide value in every blog post) distinguishes you as an expert on your topic. And a publisher wants to know you are the authority or a thought leader on the topic. 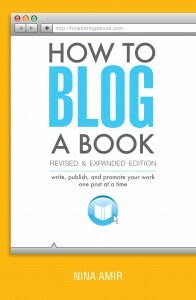 I was not an expert on blogging or blogging books until I blogged How to Blog a Book. However, after blogging a book and producing three to four posts on the topic of how to blog a book over the course of five months, I was THE expert. The fact that my site had #1 Google search engine results page status helped. But that wouldn’t have happened if I had not blogged on one topic consistently over that period of time. And the huge amount of valuable content I provided also established me as an expert on blogging and blogging books. It also made me a thought leader in the area of publishing and book marketing. The same principles still apply. 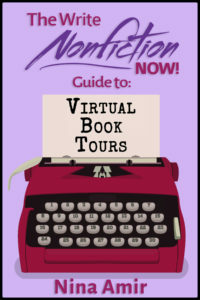 Your blog can give you that expert status you need to land a traditional publishing book deal, especially if you are a nonfiction writer. Expert status can also help novelists. 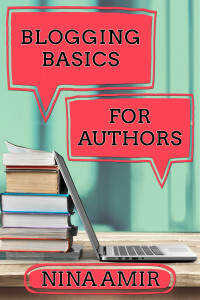 If you can prove that you are an expert on the topics included in your fiction—for example, the criminal justice system, medicine, raising horses, parenting, or health—a publisher will be more interested in the novels you write that include these topics. 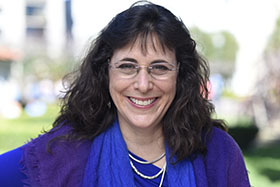 They will feel confident that you know what you are writing about…just like a nonfiction writer. 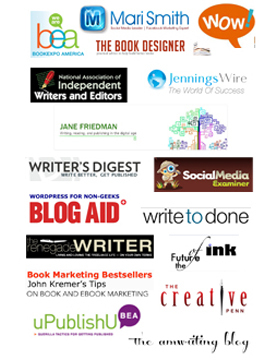 Your blog can give you that expert status you need to land a traditional publishing book deal. Finally, the blog-a-book strategy still works. In fact, it works better than ever. Our lives as writers, authors, and bloggers have not gotten easier. They have gotten harder—or maybe I should say more complicated. When I began blogging a book, I did so with the premise that I could kill two necessary birds with one stone. To become an author, I needed to promote myself and my book prior to ever approaching a publisher. I needed to build platform. But I also need to write the book. I saw so many aspiring authors—myself included—struggling to do both. And with the need for platform increasing, many writers—myself included—did more platform building, such as blogging and posting to social networks, than writing. If we weren’t writing, that presented a huge problem. Writers write, after all. Blogging a book allowed me to build platform as I wrote. Writing my book post by post on the Internet helped me attract an audience for my book and finish the majority of my manuscript. With the myriad of ways we can now build platform—Youtube videos, Facebook Live, Instagram Stories, speaking, podcasting, blogging, curating content, and, of course, social media marketing—it’s easier than ever to feel you have little time to write your book. It all starts with the blog post. And each blog post contributes to your overall book project. It becomes a “page” in the book you are writing. Blogging a book continues to be the most effective and efficient way to write a book and build platform at the same time. When you are done, you’ll have the majority of your manuscript written (about 75–80%) and a built in readership for your book—an avid foundation of potential readers who already love you and your work. Blogging a book is still the most effective and efficient way to write a book and build platform. And here’s some more good news: Today it is easier than ever to get a blogged book published. Why? Publisher are more familiar and comfortable with the idea of publishing blogged content. They realize the value of that content and the readership built by bloggers. And they are more focused than ever on a writer bringing to the table a strong ability to promote and sell books. 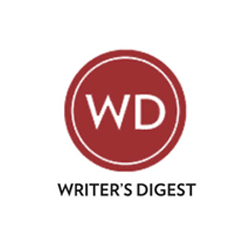 Bloggers continue to stand head and shoulders above the majority of aspiring authors when it comes to proving to publishers that they have what it takes to help their books succeed. 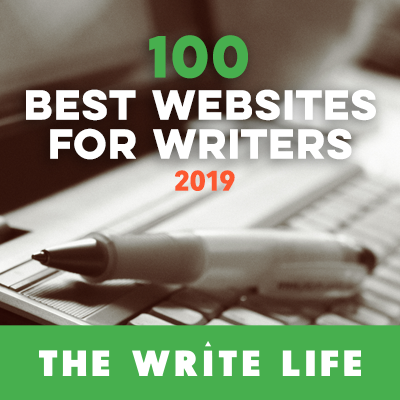 In fact, they’ve proven it…over and over again…as their posts serve as a beacon to potential readers of their blog and book. For those who want to self-publish, blogging a book remains one of the best indie publishing strategies—if you want to ensure your book succeeds, that is. For all the reasons mentioned above, your blogging efforts help your book have a more than average chance of selling well. Plus, with no publisher, you take on that role. You become the publisher. Therefore, it’s up to you to evaluate if your book does, indeed, look like on that will succeed. Your posts are attracting more readers daily. If your efforts to share posts drive people to your blog and cause them to “follow” or “like” you on social media sites. If you are building a platform large enough to help your book sell well. Basically, when you blog your book, you perform a test-marketing exercise. Blog your book, and see if anyone is interested in it. If they are, publish with confidence. Don’t let the fact that the blog-to-book trend seems to no longer be a popular topic of conversation. The trend hasn’t disappeared. If anything, it’s grown, matured and strengthened. It’s become a fact of publishing life. 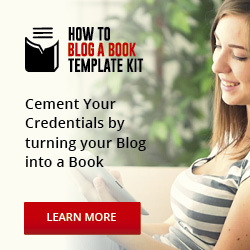 Take advantage of this online publishing strategy this year by blogging your book. If you are blogging a book or have blogged a book (and published it), leave me a comment below. I’m always looking for success stories to feature here on this site. It’s looking as though my blog will be up and functioning by the end of January or in early February. I’ll send you an email when it is up. Yes, I agree that before publishing the books start the blogging, so when you will start to write the blog then you will need to know which type content required for users, whose your audiences. 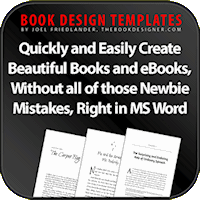 When they will interested in your blogs or article then you can Publish your books with this you need to inform your users in your blogs that you will going to publish New books, so then can find your books or will be ready for you news release books. This post gave me the clarity and incentive I needed to hurry up and start my blog. I have an outline for a book, but have been procrastinating. Now is the time to get that blog up and start posting. I didn’t think that my outline could serve as daily blog post. Thank you so much! I have the outlines of my book (fiction) in my head. I’ve been struggling with the idea of blogging the story or writing the full draft first. My question is, do you blog the whole story over time or is it meant to be a vignette/chapter at a time type of exercise to help develop the characters and see what personality quirks resonate or don’t with the reader? Thanks for sharing this !! I have also a blog site this name is Belch Buzz ( Just Have a look ) to help inspire entrepreneurs around the world. My mission is to show you that there’s much more to life than just working a dead in job for the rest of your life. I will also show you the lifestyle of the rich & famous, along with your normal every day people that just became self made millionaires & billionaires. Great points. 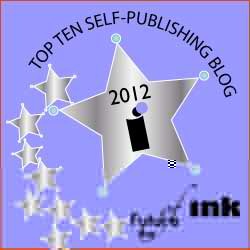 I think having a blog is essential for any serious author – the web presence is just important. Every big name author who writes bestselling books has a website/blog where people can go when they search for that author on Google. However, depending on your genre, it can be hard to find readers for your blog and your book for that matter. It can be hard to find readers, but if you tenaciously and consistently share your work…high-quality work…the readers will come. I know I’m late to this post, but do you think a potential publisher would purchase the rights to and publish a book that is already online? Related–Since my readers have already consumed most of the work in the blog–what will compel them to buy the book? Lastly, with all that in mind, do you recommend this more for a self publish situation? It works well for self-publishing…but if you plan well–and don’t publish more than 50% on the blog…a publisher will want it as well–if you have a platform. I have published two books but did’nt get a penny. So now deciding to blog thes e books and new ones I’m working on. I’d focus on blogging new ones. I’ve written here about the fact that blogging a book that’s already been published or written is not the best strategy.